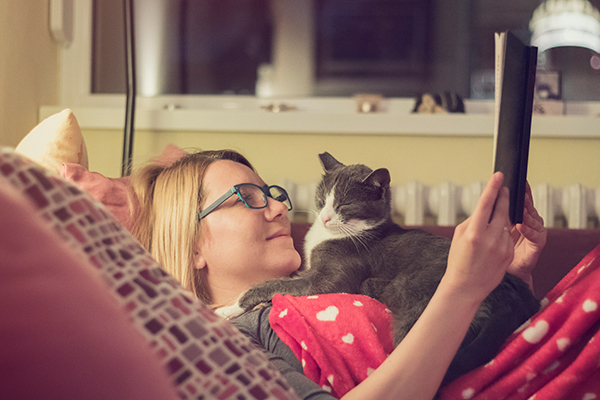 Next on The Scoop: Can Cats Be Service Animals? 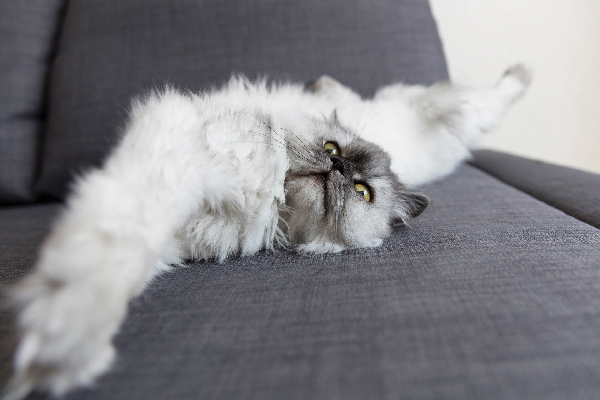 The creepy looking kitty named after a pop-culture sitcom icon is a soft-coated sweetie at heart. 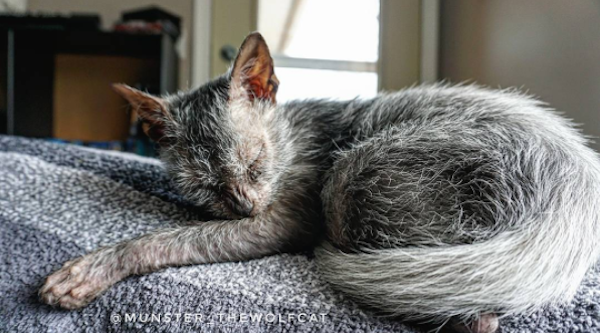 Munster is what’s called a werewolf cat. 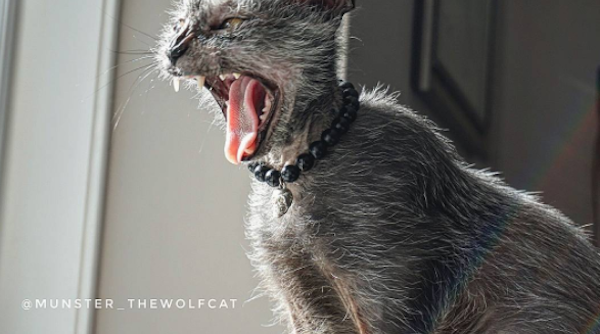 Well, technically he’s a type of breed known as the Lykoi, but one look at these pictures featuring his striking straggly grey-flecked fur and piercing yellow eyes will have you convinced that he’s a werewolf at heart. 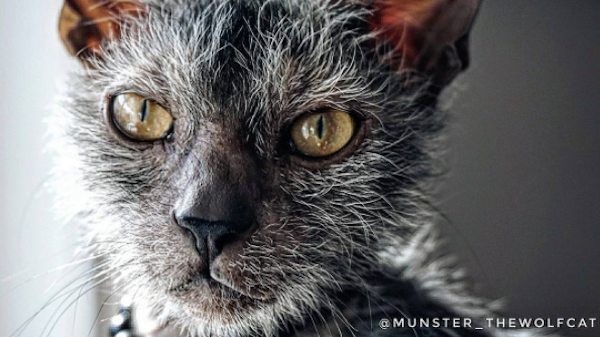 With Munster’s social media profile beginning to bloom, let’s take a moment to get up close and personal with this hair-raising feline. 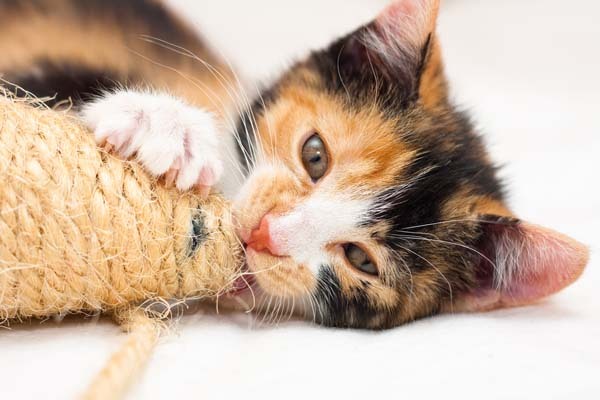 It wasn’t long after that Munster waltzed into what’s become his forever home in British Columbia. It turns out that Munster’s name is a homage to Eddie Munster the wolf boy from the TV sitcom The Munsters. “We wanted a wolfie name that came from pop culture, and we are lovers of classic horror comedies,” explains his human. 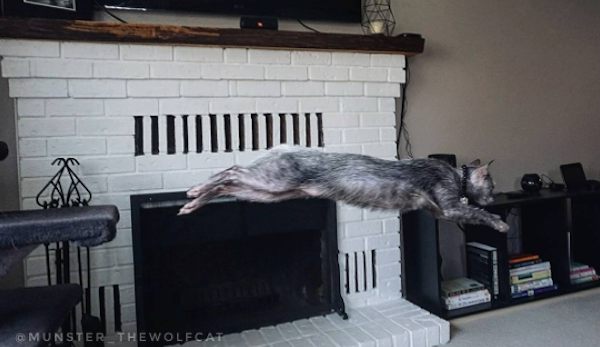 It should come as no surprise that this werewolf cat is described as being “energetic” — but Munster’s human also says that he’s a “super sweet” feline at heart. When Munster meets new people, they’re usually in awe of his distinctive looks. 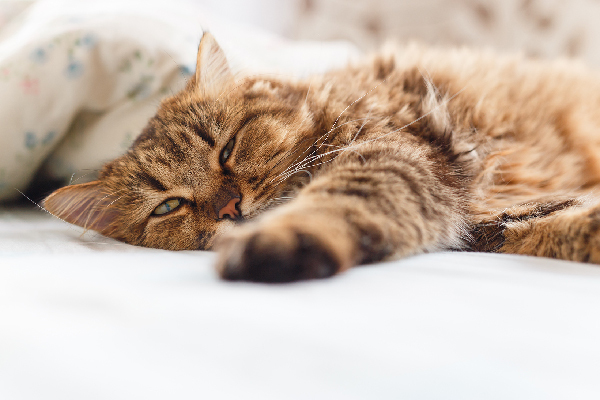 After asking what type of cat he is, the next question is usually a request to touch his fur — which is said to be super soft. 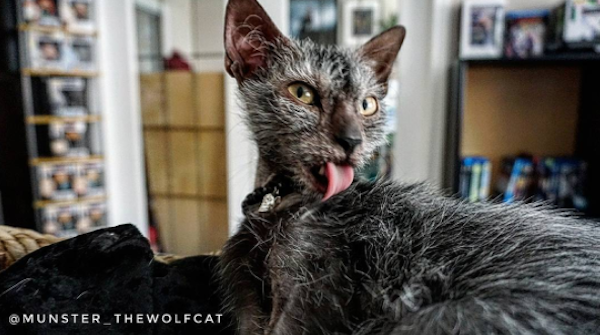 So what exactly does being an official werewolf cat involve? 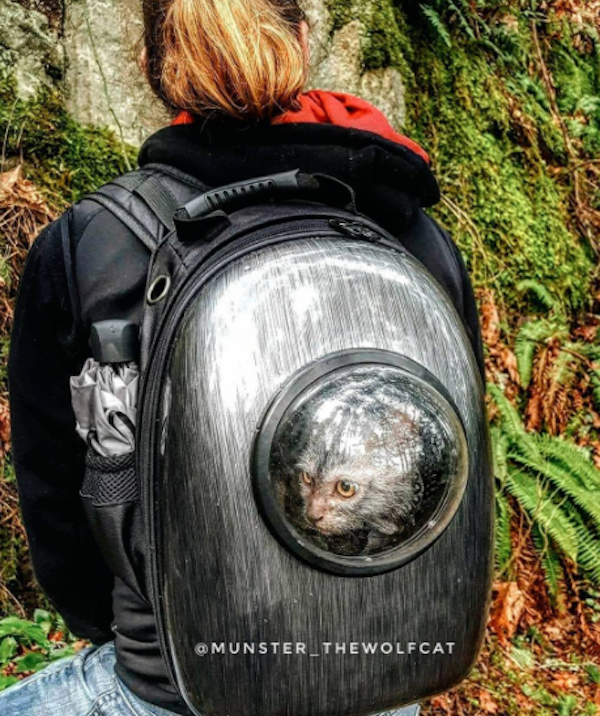 If you check out Munster’s Instagram or Facebook pages, you’ll see that sometimes he goes out and about with his human while nestled in a backpack that features a circular peep hole for him to look out of. While he’s inside his fancy carrier, Munster becomes “wide-eyed, checking out the surroundings.” Then he usually takes a little nap. Check out more of Munster on his Instagram and Facebook pages.